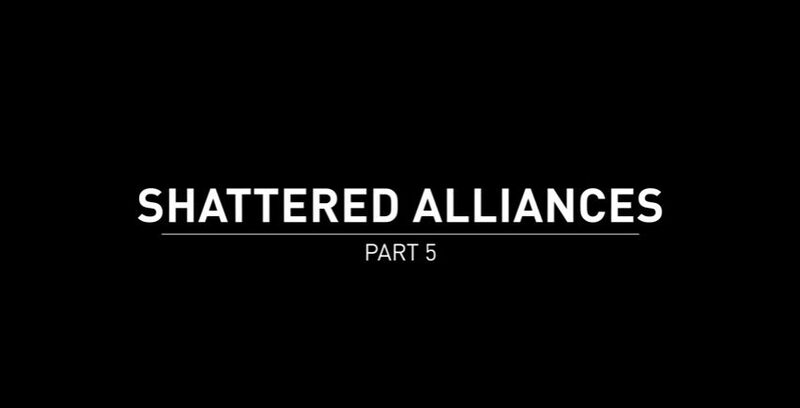 Shattered Alliances 5 revealed – No remorse, no prisoners, no survivors… Brainiac has arrived. As for the last of the Injustice 2: Shattered Alliances Trailer, we now get to see the true antagonist for the game, the mad Coluan Brainiac. Brainiac is a being that collects worlds and discards the remnants for his own personal collection (which stays true to his personality in the comics). The video also shows the different weapons utilized by Brainiac in order to conquer worlds such as his massive army of drones, huge spaceships and his signature skull ship that wipes out every other city in the planet besides the city he deems to be worthy of his collection. We also get to see a glimpse of the different areas of operation of some factions (like Black Adam’s Kahndaq and Gorilla Grodd’s jungle). In addition, this video highlights and teases some of Brainiac‘s moves, super moves and cutscenes to the game and his interactions with certain characters. Furthermore, we see the appearances of a heroes ranging from Superman, Batman, Black Canary, Green Arrow, Supergirl, Wonder Woman, Cyborg, Blue Beetle, Swamp Thing stop Brainiac from his plans of destroying the world and ending Superman as he sees Superman‘s survival to be an oversight which he deems to correct.